You Are Here Home » Review & Giveaway » Food & Health » Summer Fresh #FreshBBQ Twitter Party! Summer Fresh #FreshBBQ Twitter Party! Spring has definitely arrived here in Southern Ontario and for us that means BBQs with friends! During the warmer months, we are most likely to be found by the pool with friends and there will always be some grilling action happening! We are all about the FOOD and we can be pretty creative with what we are grilling. 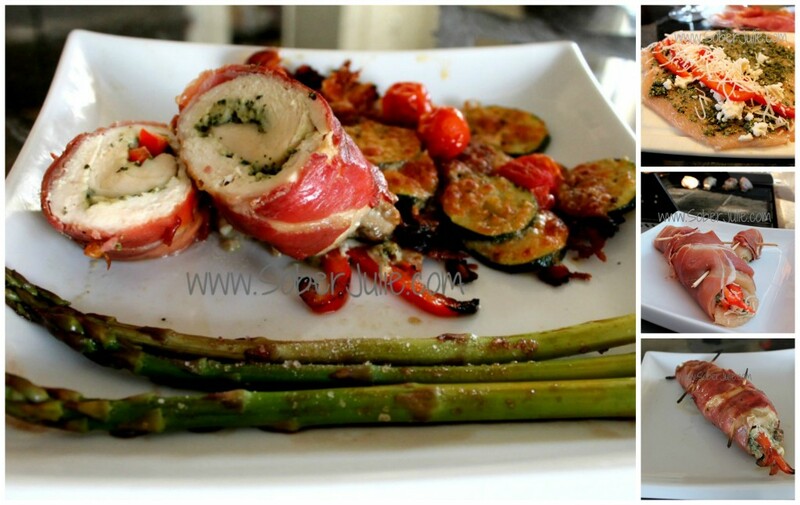 Our Pesto Stuffed Chicken Breast is on of my husband’s favourites. 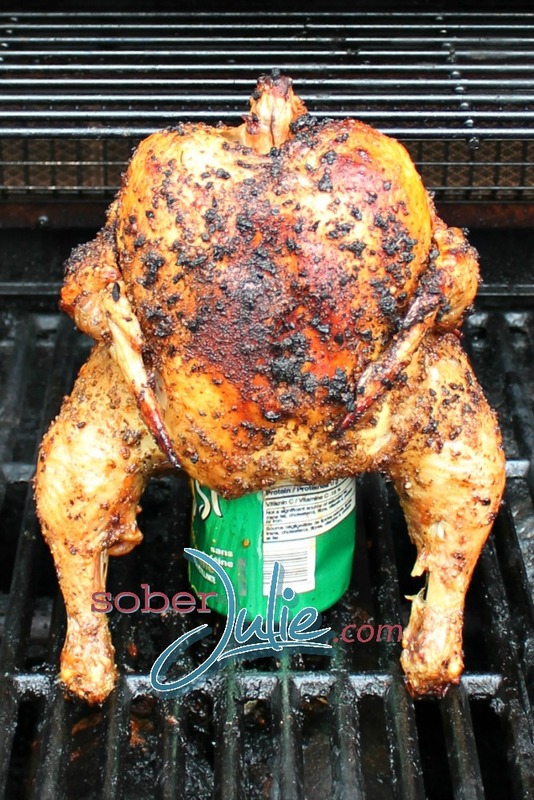 When I want something with easy prep and a slow go on the grill, I turn to my No-Beer Can Chicken. These are just a few ideas for grilling, frankly almost anything made on the BBQ will make me happy. There just seems to be something about the flavour when food is made over a flame which brings it up a notch! Along with our main dishes, I usually have a salad or 2 on the table from Summer Fresh. When we have a backyard full of kids, we need to have snacks out because they’re ALWAYS hungry! I grab some Summer Fresh Hummus or dips and toss some veggies on the plates and we’re good to go! Summer Fresh also has a wide variety of pasta salads, specialty salads, bean & grains salads which I turn to. I choose them because they’re fresh, made with REAL ingredients and frankly my friends love them. To celebrate the arrival of BBQ season, we’re having a Twitter Party and you’re invited! That’s it! 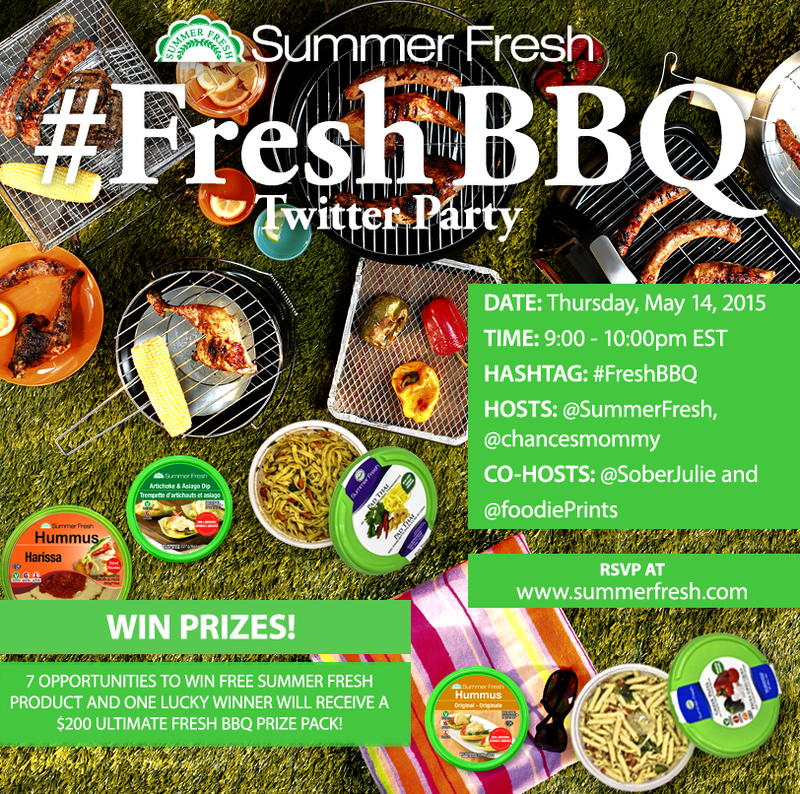 Join in the convo and make sure you follow the hosts and co-hosts and include the #FreshBBQ hashtag in your tweets! Enjoy and have fun! Make sure to RSVP using the form on the Summer Fresh site to be eligble to win one a 7 $25 Coupon Prize Packs and for the $200 grand prize including a $100 prepaid Visa giftcard, $50 in free Summer Fresh product, a Summer Fresh cooler bag and bbq serving items! 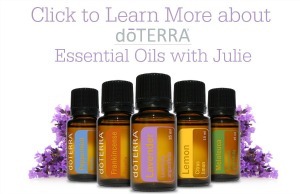 (Product will vary depending upon availability in the winner’s region. Twitter party is open worldwide, but only residents of Canada, excluding Quebec, are eligible to win prizes.). Official Rules & Regs can be seen HERE.